Brazilian culture has been influenced greatly by the Portuguese, Indians, Africans, Europeans and settlers from the Middle East and Asia. One of their main contributions can be seen in the beautiful and rich arts & craft markets spread throughout the country. Historically, handicrafts have received little recognition as an art form in Brazil. One thing that all visitors to Thailand come away impressed by, is the wide variety arts, crafts and food products made locally in all areas of the country. Shopping in Thailand is very popular, especially products, food and art promoted through the One Tambon, One Product (OTOP) scheme that helps local businesses and people to make money by marketing and selling their indigenous products. Lao News Agency reported that Laos has so far registered more than 160 one district one products (ODOP) in over 40 villages, 29 districts, and 12 provinces, citing a report of the Ministry of Planning and Investment. The ministry’s mid-fiscal year report shows that the promotion of market-oriented production is likely to further expand and will lead to further growth of ODOPs in Laos. 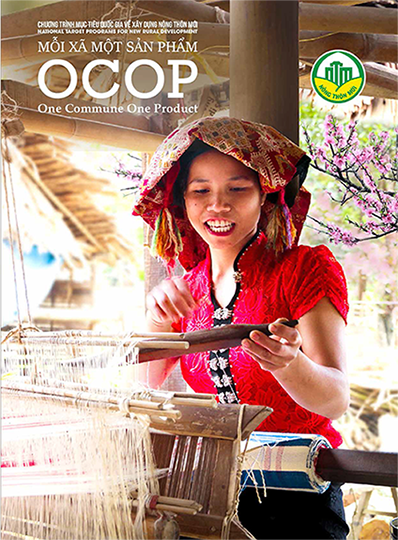 The Lao Ministry of Industry and Commerce’s Trade Promotion Department anticipates the 1st One District One Product (ODOP) Exhibition will allow ODOP entrepreneurs to promote their products to wider regional and international markets. Over 3 billion kip of products are on display at the exhibition with organisers expecting the event to generate more than 300 million kip in sales.